It’s 2:30 in the morning and no matter how you position yourself, you’re still in pain and can’t seem to fall asleep. Sadly (and I genuinely mean sadly) sleeping is one of the most common difficulties my patients face after arthroscopic shoulder surgery. I wish I had a magic bullet for this problem, but I don’t. I do, however, have a few suggestions that have helped others in the past. Often, in the first two or three office visits after arthroscopic shoulder surgery, my patients and I spend a substantial amount of time discussing how to make sleeping an easier and more successful activity. Unfortunately, lack of sleep affects everything in your daily life, including the ability to concentrate and perform in physical therapy. Irritability because of lack of sleep can also affect your job, relationships, and a whole myriad of other things. I usually give patients three simple solutions. 1. Use pain medication as necessary. Try to find a good combination between an anti-inflammatory and a pain medication. Some patients actually require additional sleeping aids such as Ambien. Sometimes patients are afraid to become addicted to either a sleeping pill, which is really a muscle relaxant, or a narcotic pain medication. It’s unlikely in a short period that addiction will form to either types of medication. That said, I completely understand the fear. For those who are hesitant, we usually use light narcotic medications, which are generally non-habit forming. It’s also important to take an anti-inflammatory on a regular basis in these cases to help control inflammation in the shoulder. We will also give patients Benadryl or Tylenol PM, both of which have a sleeping aid. Often times, strong anti-histamines cause drowsiness which can help patients get better sleep. This is also a big concern for people with a history of substance abuse. In those instances, we definitely utilize lighter options as reasonable alternatives. Move your recliner into your bedroom, or as some of my patients have been doing, buy a reading pillow with arm supports. 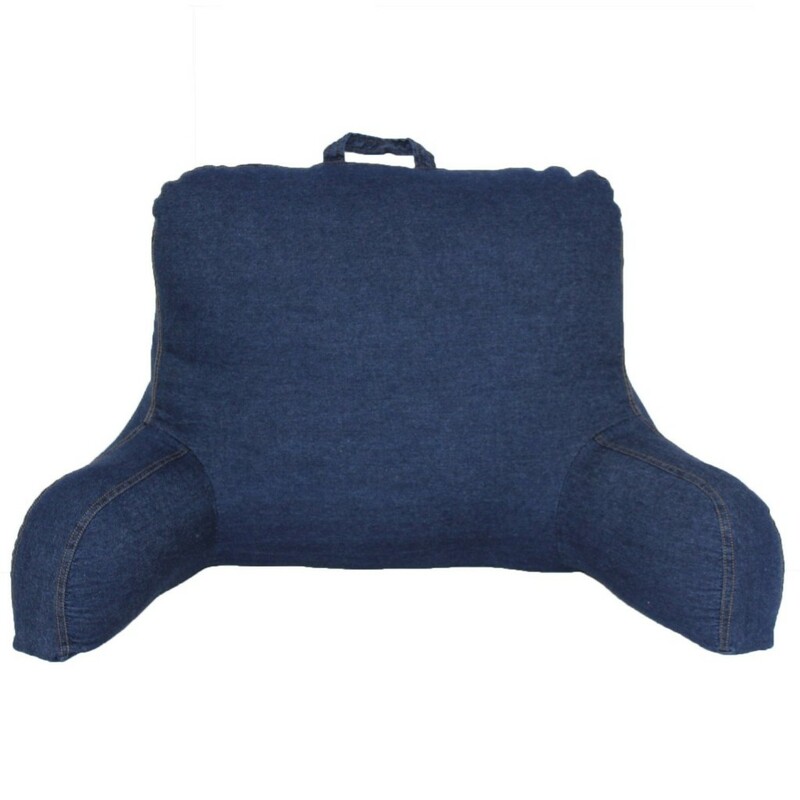 These pillows are a fairly inexpensive (a quick search on Amazon shows the cheapest options are about $25-$30) aid on your road to recovery. If patients sleep in their slings, they can set the arm on the support, which gives them a fair amount of pain relief, and perhaps you’ll also do more reading! This can also apply to side-sleepers. 3. Focus on regaining your range of motion. It seems, anecdotally speaking, that once range of motion improves, pain also improves substantially. Typically, a directed therapy program–two to three visits a week–with commitment at home to a scheduled home exercise program helps patients substantially improve their sleep quality at night and general functioning during the day. So be diligent in your physical therapy sessions and with your exercises at home because it will (anecdotally) help you with your discomfort at night. Sometimes, it takes a few months for sleeping discomfort to resolve completely, but don’t give up! Keep working on improving your range of motion, and surround yourself with people who will encourage, relax, and support you through your struggle to return to a more normal, less disrupted sleeping habit.